OfferInstaller.exe is an executable file that belongs to an advertising-supported application that you have got on your computer. Just like other adware, OfferInstaller gets distributed online by using misleading tactics like bundling, fake alerts, and more. It is entirely possible that you acquired the program without even realizing it. The goal of the app is to generate web traffic and thus make money for its creators. There is no reason for you to keep it installed as it causes nothing but trouble. We suggest that you get rid of OfferInstaller.exe as soon as you can. If you are not sure how the bundling method works, you may fall for it again in the future. In order to avoid that you need to be aware of the fact that potentially unwanted programs get attached to freeware and shareware. These free software bundles can be downloaded from third party content hosting sites. After you start the installation process, you get presented with additional offers. If you fail to notice them, you agree to these offers unwittingly, which is how the adware and other unreliable apps get installed. Make sure that the next time you deal with freeware, you pay attention to every step of the wizard and decline all optional offers. The main symptom of the adware is that it floods your browsers with coupons, banners, links, pop-ups, and other ads. You may also experience redirects to random pages that have nothing to do with your interests. These interruptions not only slow down your surfing speed, but they also lower your online safety level. The adverts that are shown to you by the program cannot be trusted as they are not monitored by anyone. If you wish to stay away from virtual scams, you should avoid all advertising data until you make sure that you eliminate OfferInstaller.exe and its related program completely. The only way to terminate OfferInstaller.exe is by uninstalling the application to which it belongs. You can do that manually or automatically. Manual OfferInstaller.exe removal option is not that complicated, however, we have prepared instructions below the article, which you are welcome to use. 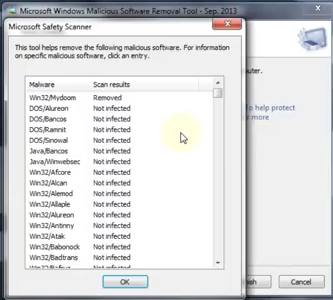 Alternatively, you can erase OfferInstaller.exe by using the malware prevention and removal tool from our website. It will perform a full system scan and detect all unreliable components present on your computer. The utility will then delete OfferInstaller.exe along with other potential threats. As the anti-malware comes with a variety of beneficial features, it will help you keep your PC clean and protected as long as it stays installed.